I’ve had my eye on this protein pancake mix for a while. All the benefits of protein, all the taste of chocolate and all the ease of powder added to water then fried! I’m a huge fan of pancakes for breakfast, it’s actually a tradition at my Dad’s house every Sunday morning; however theirs are slightly less healthy. When I’m being a nice girlfriend I’ll sneak out of bed in the morning and make Matt pancakes, and he does sometimes get healthy two ingredient pancakes much to his disgust! So this week I stepped away from the two ingredient pancakes which are, although easy to make, not as easy as these to make. Simply whisk together 1 1/2 scoops of the powder with 100-150ml of milk or water (I use water), and fry as you would a normal pancake. 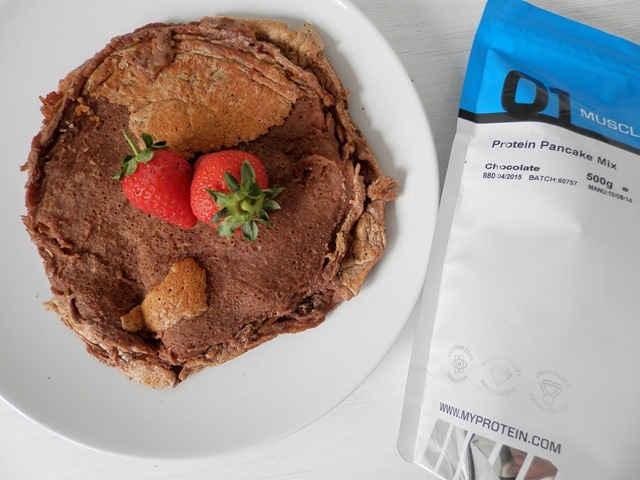 The My Protein Pancake Mix* really stood out to me as it is made completely from ingredients I recognise; no nasty chemicals, just ingredients such as whey protein, ground oats, cocoa powder and sweetener. Now I’m no pro pancake maker, hence the slightly messy pancakes in the photo. I always forget to throw away the first pancake – apparently you should cook one just to line the pan and it works a treat. So my first pancake is messy and shown in the photo – apologies! The pancakes have the same consistency as traditional pancakes and are just as yummy. They are sweet, as Kelsey pointed out on Instagram, so if you don’t have a sweet tooth I would suggest trying another flavour, or even the unflavoured version to begin with. However I love chocolate, so these work perfectly for me! I can see them becoming a regular breakfast or after dinner treat, and I’m definitely going to be giving the Maple Syrup and Golden Syrup version a go! After munching through them, I went online and looked at the nutritional content of the Protein Pancakes out of curiosity and was pleasantly surprised. For 50g, which is one decent sized pancake, there are just 191 calories, 5.9g of carbs, 2.1g sugar and a whopping 34.3g of protein! 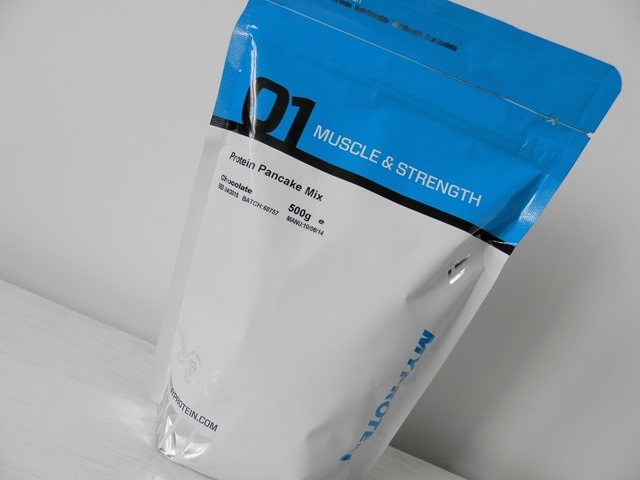 If you are looking to try out Myprotein, you might want to check out Fitness Discount Codes first to save some money. 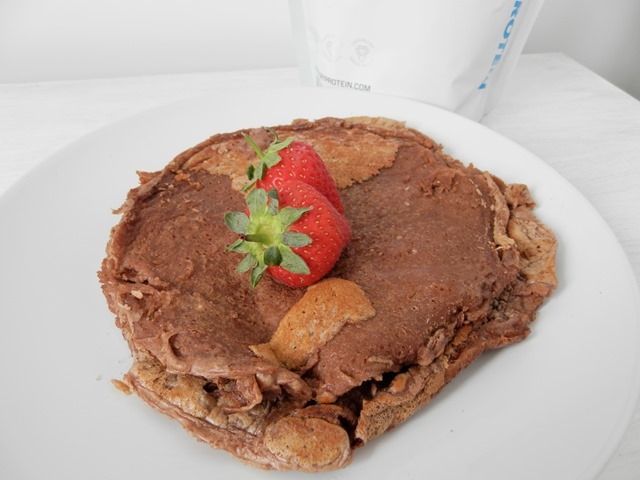 Have you ever given the My Protein Pancakes Mix a go? Or are there other healthy pancakes your prefer? I’ve tried 2 ingredient pancakes (egg and banana) but these look great and very simple too! I have oodles of protein powder hanging around, so I’ll definitely be trying these! Two ingredient ones are great, but these are a fantastic alternative! Haha great idea! I’ve never done them with Whey, just with this mix and they are pretty tasty!